The IP Code, International Protection Marking, IEC standard 60529, sometimes interpreted as Ingress Protection Marking, classifies and rates the degree of protection provided against intrusion (body parts such as hands and fingers), dust, accidental contact, and water by mechanical casings and electrical enclosures. The CAT S41, CAT S61 and the Samsung Xcover 4 are all IP68 Certified. The Samsung Xcover 4 can be immersed to a maximum water depth of 1.5 meters for up to 30mins. 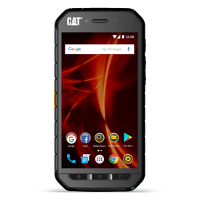 The CAT S41 can be immersed to a maximum water depth of 5 metres for up to 60mins, and CAT S61 can be immersed to a maximum water depth of 3 metres for up to 60 mins. Blowing Rain 4inch/Hr./18m/s wind/30 min. Dripping Rain 1m Height/10°C Water/15 min. Blowing Dust 10g/m³ dust / 23°C / 1Hr. ↔ -2°C / 1Hr. / Total 6 Hr. Blowing Sand 2.2g/m³ sand/63°C/18-29m/s wind/90 min. Low Air Pressure OP. 15,000ft Height / 1Hr. Salt Fog 5% Salt Fog/35°C/24 Hr. Temp. Shock 3 Times of -20°C/1Hr. ↔ 50°C/1Hr.